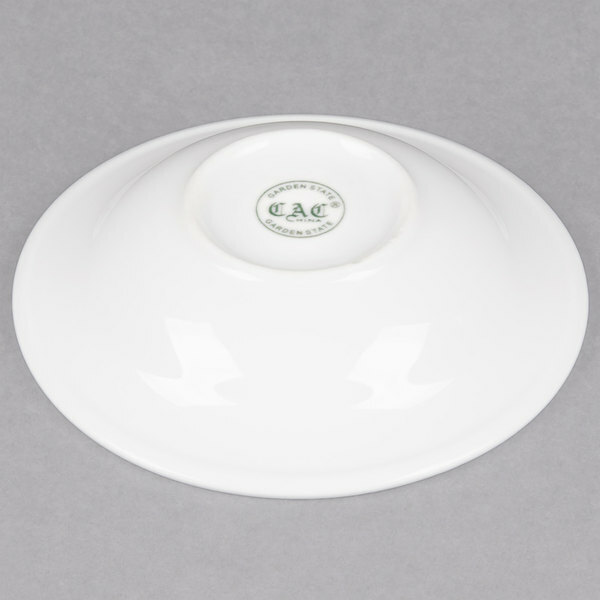 With a stretched, swirling linen embossed on their flattened rims, these CAC GAD-11 Garden State 5.5 oz. 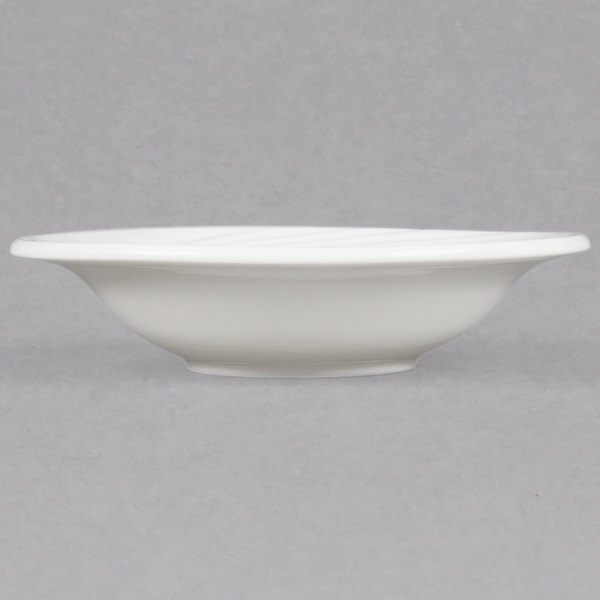 fruit bowls are ideal for serving your delicious ice cream, soup, and, of course, fruit! 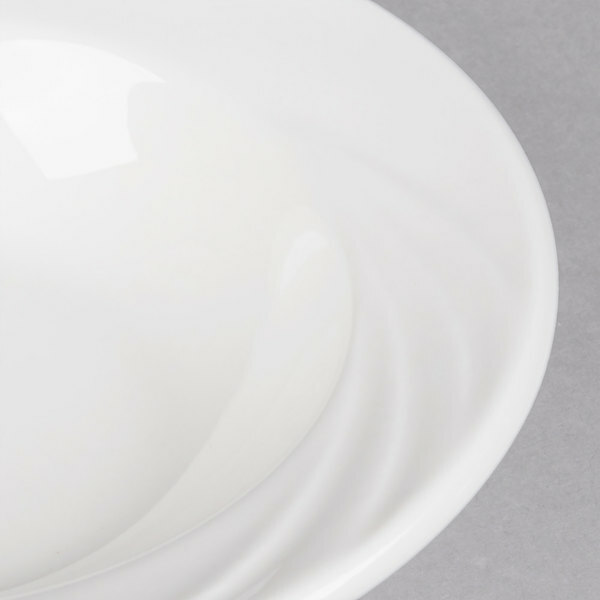 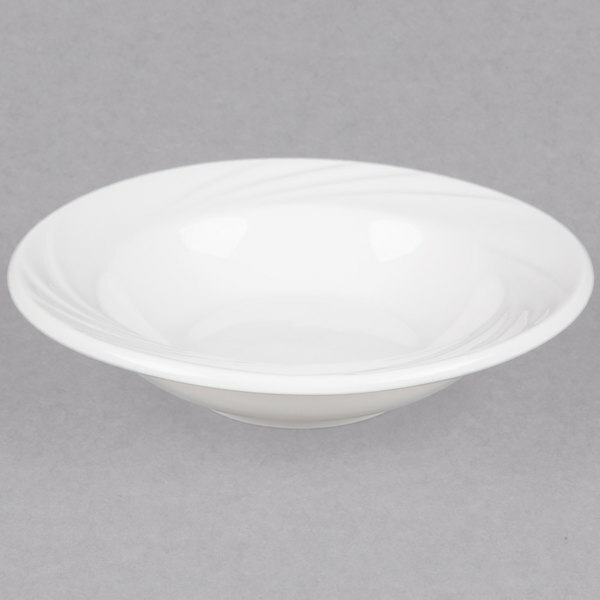 These Garden State china fruit bowls will help give any establishment a stylish, upscale decor.